Ladies and Gents, I am tickled pink to announce the latest horseman to join my team at Canonical. 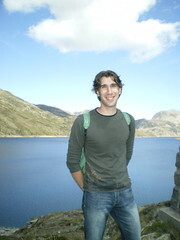 His name is David Planella and he will be our new Ubuntu Translations Coordinator. He will join Daniel Holbach and Jorge Castro on the team. David has a strong background in translations and development. He is an Ubuntu Catalan Team administrator and translator, a GNOME translator, Debian translator and had performed translation and coordination of several other projects through SoftcatalÃ , a non-profit volunteer organisation for the promotion of the Catalan language in IT and the other technologies. Oh, and for kicks he is a core developer on the Linux acx100 wireless driver. Rock and roll! David joins the crew on the 6th April and our friends in the translations community will be seeing David more and more. Folks, give him a warm welcome! That’s great. Good luck on what you do! I love how international Canonical is. Congratulations. Go Ubuntu and Canonical! Bob connects the team on the 6th Apr and our buddies in the translations group will be seeing Bob more and more. People, provide him a heated welcome!